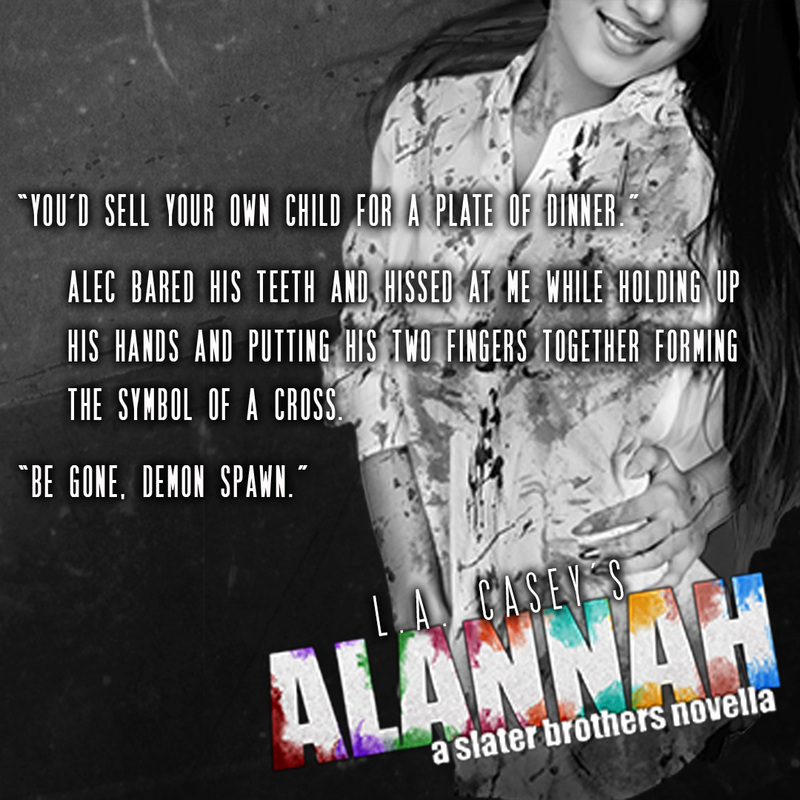 In Alannah, we have the continued love story of her and Damien. While they are living together and all appears to be going great, Alannah is still pulling away from him. She keeps saying she want a future, marriage, and kids with him but when he proposes, she continues to say no. Which of course totally pisses Dame off. We do get some insight as to why she is pulling away but she doesn’t want to bother anyone with her issues … we’ve seen this before with her unfortunately. It takes an unfortunate event that happens to her an Bee to get her to come to her sense’s. We do get a HEA for them as well as little unexpected bonus for the couple. We also get updates on all the other members of the family/group that we love so much. Poor Bee’s second eggo preggo, Ry and Branna’s twins, of course lots of Alec time and stories (and his little bundle of joy). As I was part of the ARC (advance reader copy) I don’t want to spoil anything for readers as it’s a wonderful book with so many laughs and feels, I’ve actually read it twice now. Thanks again for letting me part of the ARC, L.A.!!! !